This spring we will take our oldest screen and give it a make over. It will get upgraded from a FireFly to FireFly Super Sport or “SS.” This will complete the changeover of our fleet to create four mobile jumbotrons all with HD screens. This includes the two DragonFlys and two FireFly SSs. The times they are a changing, and we are doing our best to stay current. It’s not easy, but no one said it would be. We do it to make sure we can provide our clients and their guest a a great visual experience. With technology advancing so quickly, it can be tough to stay up to date with equipment, but if you’re not, you can easily get replaced by the other companies that are. In the LED industry, there are always new screen technologies, so we are always keeping an eye on what’s new and how we can provide that to our customers. This new screen will have a crazy HD 4.8mm pixel pitch LED screen which is about as good as it gets for outdoor viewing. We have had so many compliments on our first FireFly SS mobile screen, we knew we had to update our other FireFly as well. With a much higher-quality image and a full control room, we will be able to provide a better show experience for your guests. We are proud to offer four HD video screens that are sure to be a hit for guests at your event. Keep an eye out in the coming months for the completion of our second FireFly SS video board. And we are reserving dates now for the new screen as well, so please let us know if you would like to rent one of any of our four LED big screens. 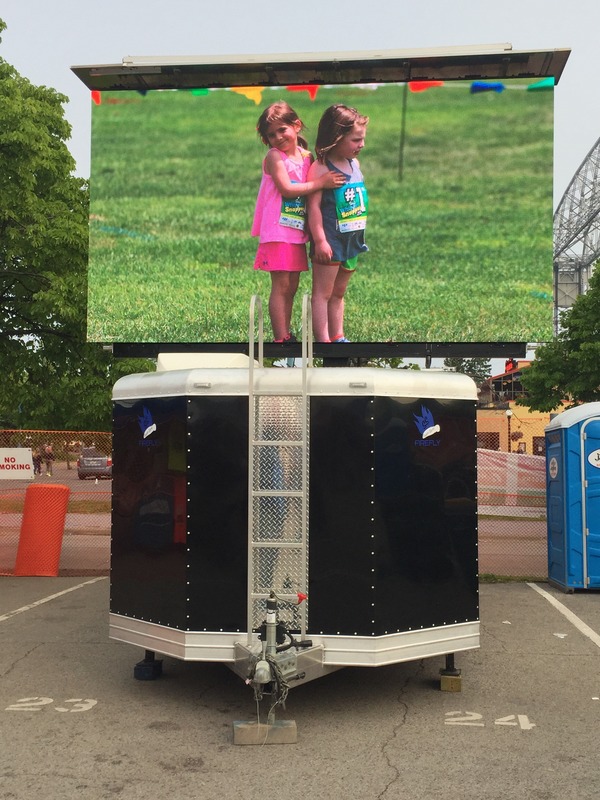 Fire Up Video provides mobile Jumbotron screens for outdoor events all over the Midwest, including states such as Indiana, Ohio, Michigan, Illinois, Wisconsin, Minnesota, North Dakota, South Dakota, Colorado, Nebraska, Kansas, Missouri, Iowa, Kentucky, Tennessee, and more. 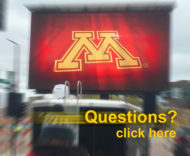 For more information, please contact us at 612-743-8897 or baum3@earthlink.net.